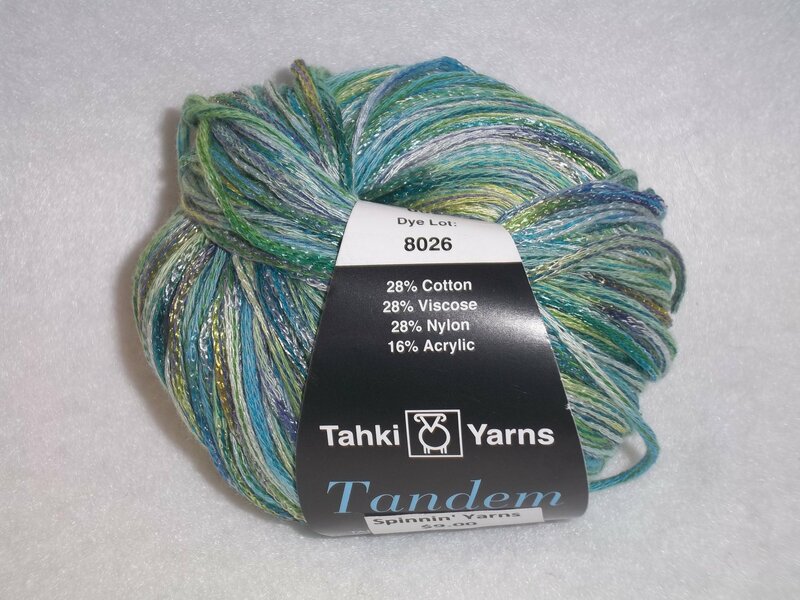 Tandem is a wonderful yarn with a multitude of gorgeous colors. It is balled in 50 gram/1.75 gram skeins and contains 107yds/98 m. It knits to a gauge of 17 sts. and 26 rows to 4" on a US8. Hook size: H/5mm. Hand wash on cold and lay flat to dry.